Good afternoon folks! The brooch (of DOOM™) is coming along. 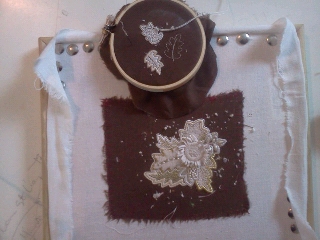 Today I cut out the little leaves, see if they fit, back & edge them, and...hopefully, attach the petals.